When people think of marijuana, their usual perception is that the user is eating cheetos, watching reruns and lounging around without a care in the world. While some user do experience great relaxation from some strains, there are strains that give users who want a boost in activity. These 7 strains are known to increase productivity for those who want to get things done. This strain is a 70% sativa strain that exhibits a clear-headed, uplifting effects good for productivity. It has a berry & nutty taste with a pine scent. It’s best to take this strain in the morning and afternoon but not at night. 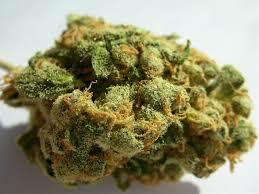 Also a 70% sativa strain that induces a high-energy buzz conducive to productivity. Careful not to take too much as it could leave the user paranoid. This indica dominant strain hybrid cross has cerebral effects that lift energy levels allowing for focus and productivity in spite of its indica potency. This 55% sativa dominant hybrid provides users with effects that are described as blissful, clear-headed and creative. It has an Earthy taste and a pine/woody scent. This highly regarded sativa dominant strain provides gentle cerebral invigoration. This strain has a sweet berry aroma accompanied by a nice berry taste. This hybrid strain is known for its euphoric, energetic effects. It has a spicy lemon scent with berry undertones that give it a sweet pungent grape-like flavor.